For anyone coming tomorrow who doesn’t know Llanteg, the sat nav postcode is SA67 8PY, think it takes YOu to gate more or less…. Also see the signs all around the village. 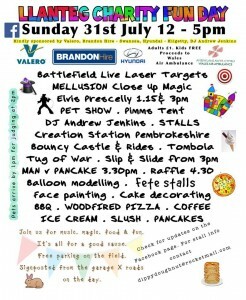 From 12-5pm – all in aid of Wales Air Ambulance.